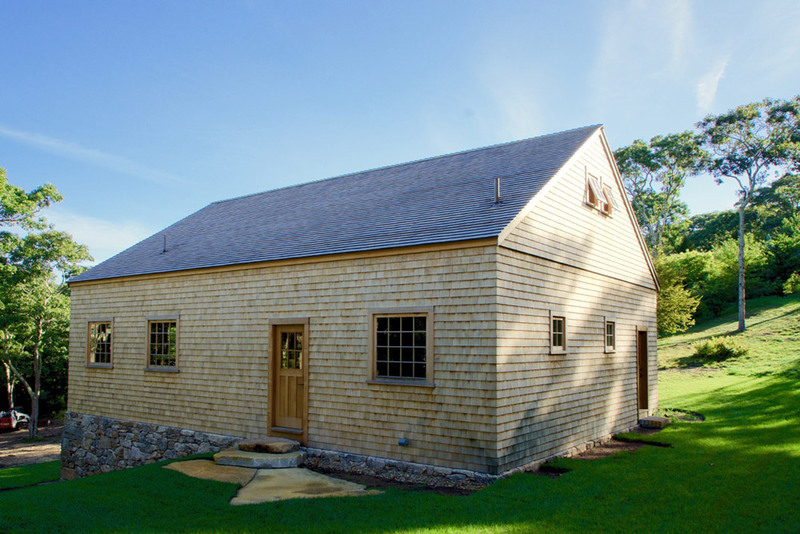 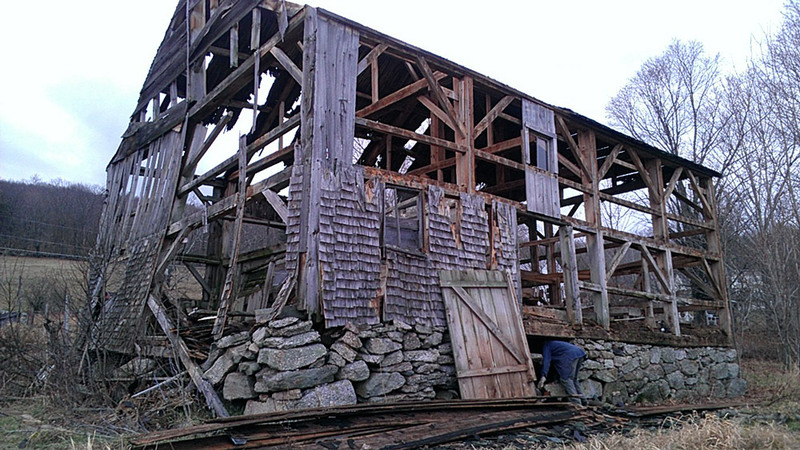 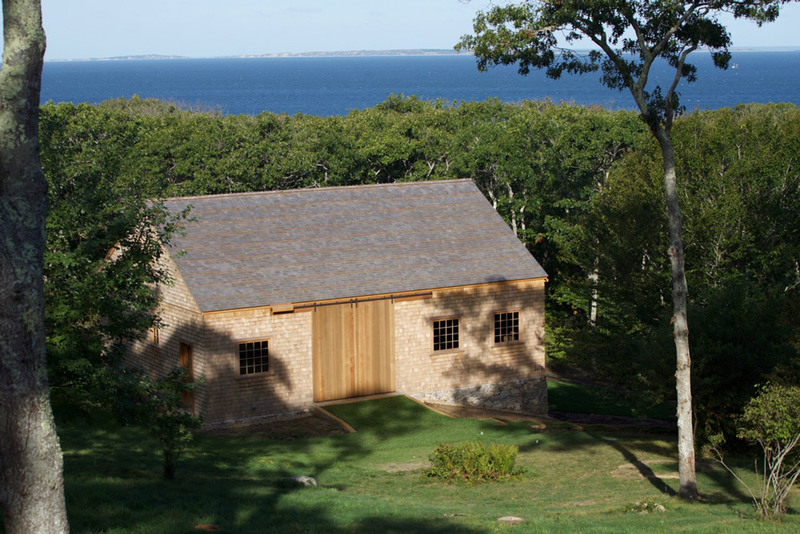 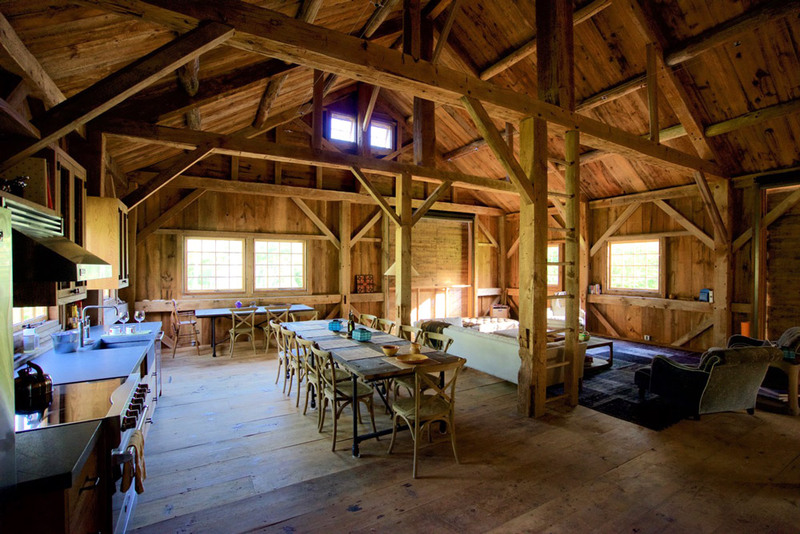 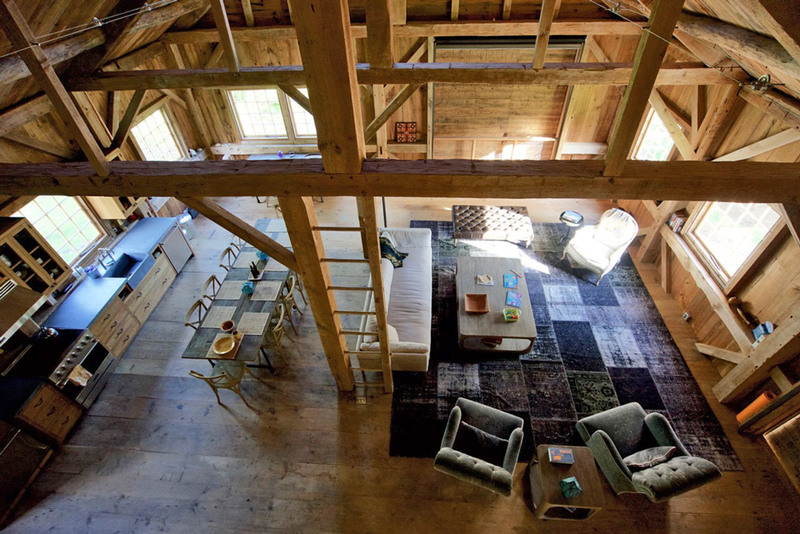 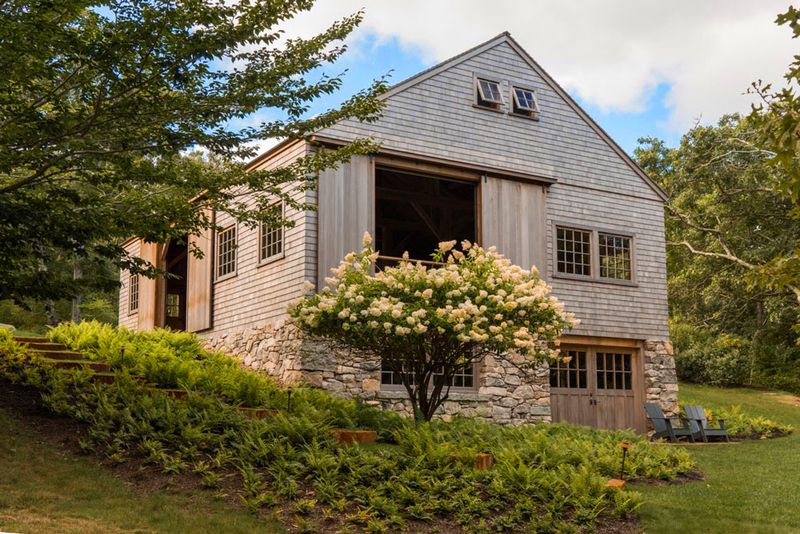 The “Ashland Barn”, overlooking The Vineyard Sound, is a pre-revolutionary barn with humble beginnings. 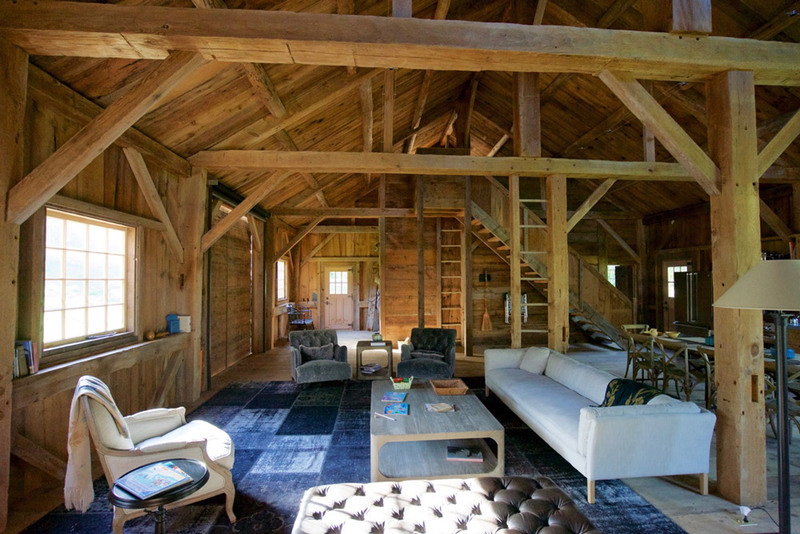 Rescued from a Vermont farm, the frame has been lovingly restored for contemporary use by its current owner. 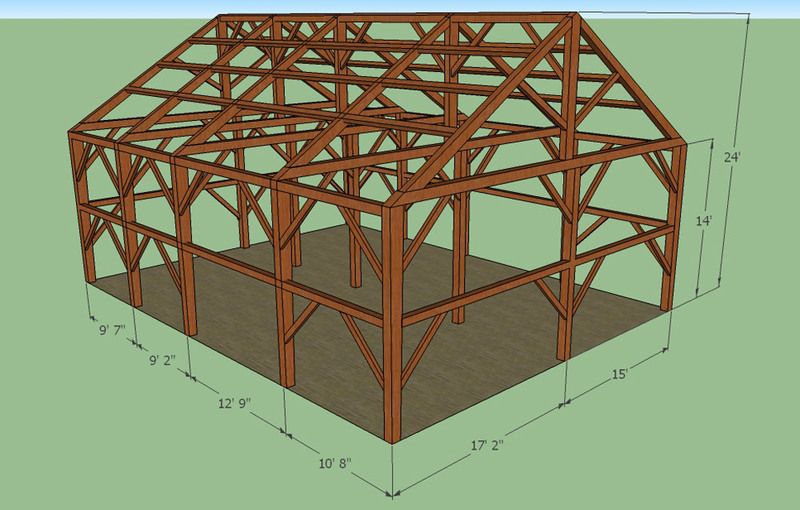 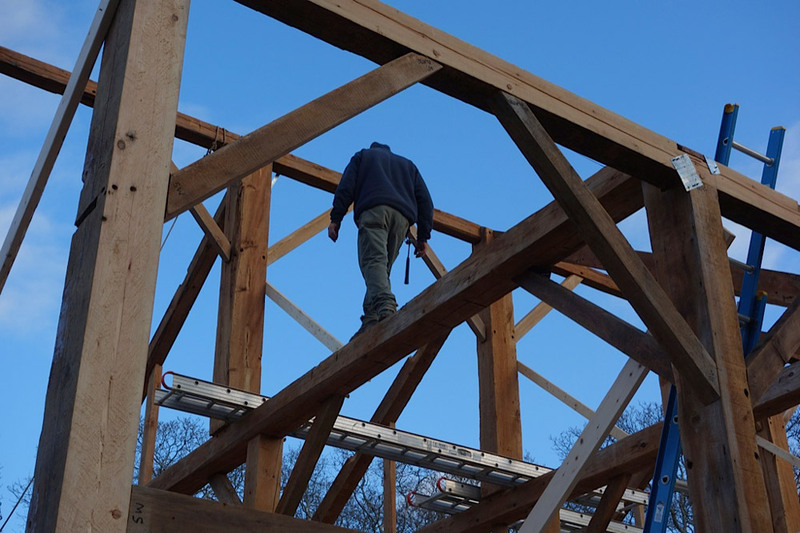 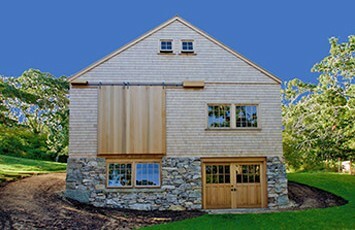 Building the barn into a sloping landscape permits easy access at both levels. 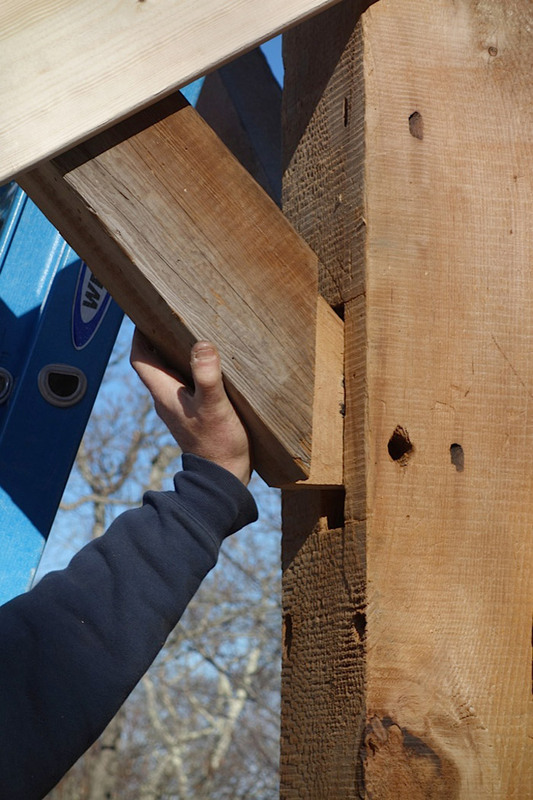 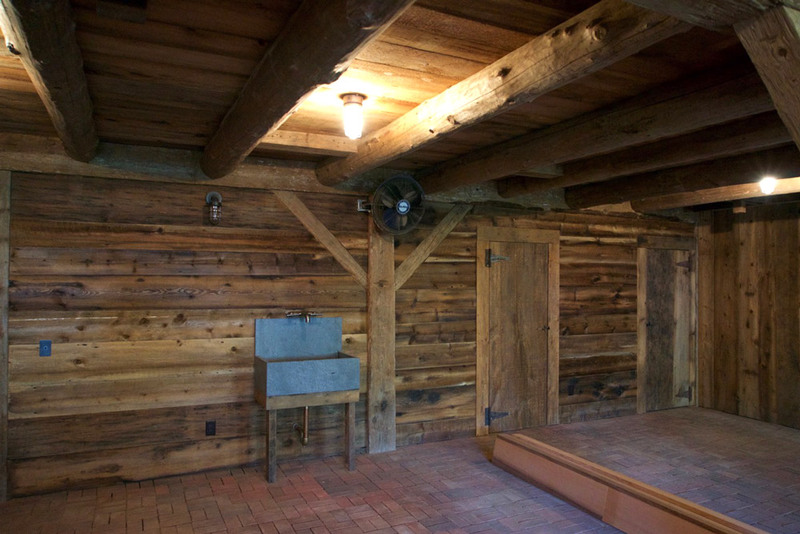 The “yellow cedar” windows were hand made using antique glass and traditional wood stops instead of putty. 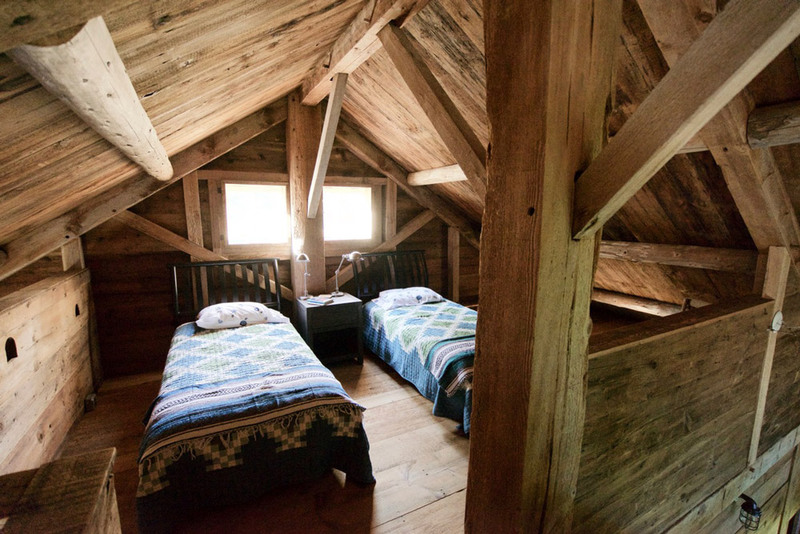 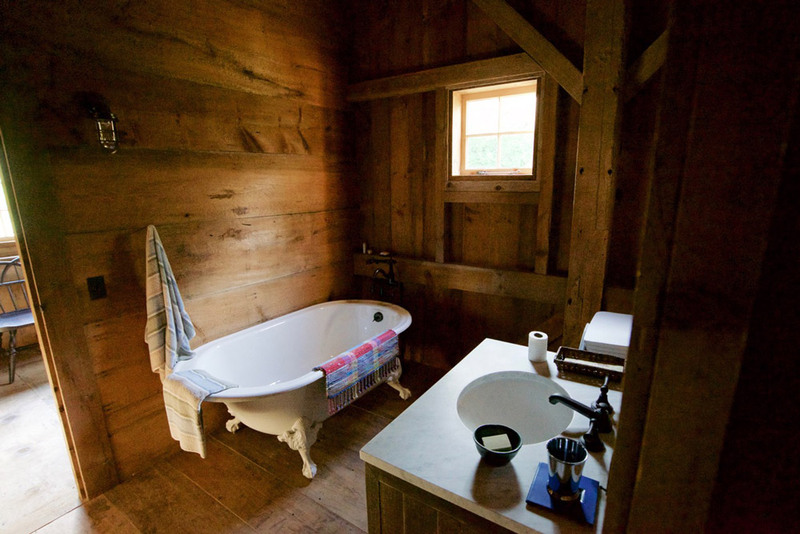 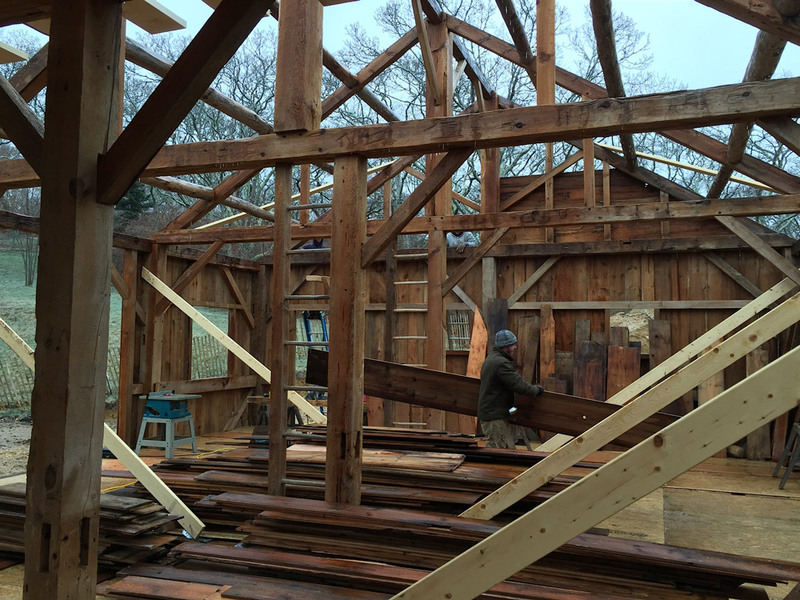 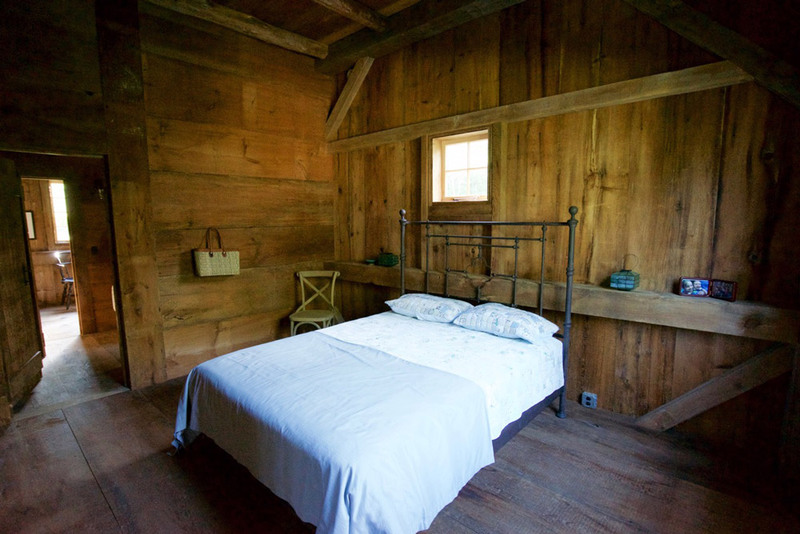 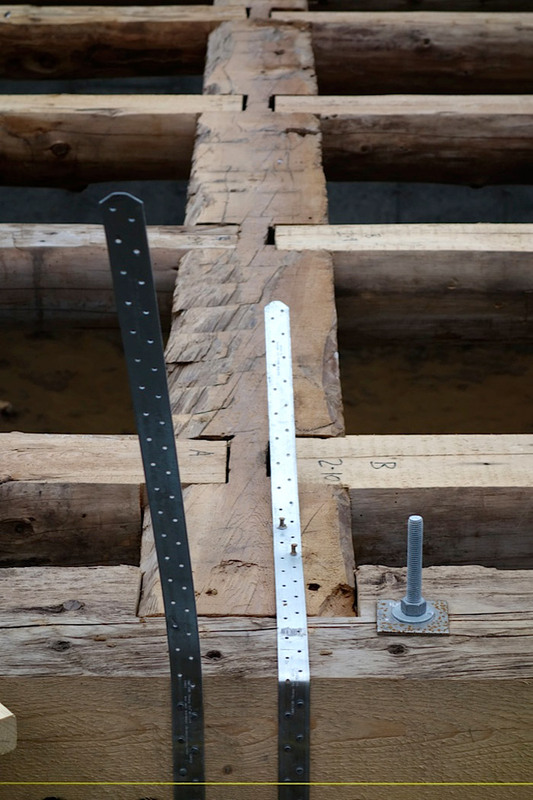 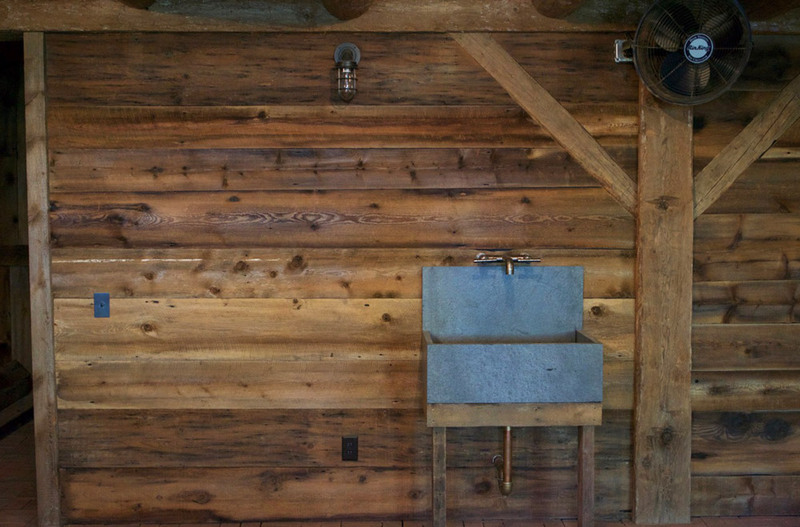 Much of the pine paneling, including the pine flooring was also rescued from the original barn – where practical period hardware was restored or custom hardware fabricated.